Well first off, my guess is that the S366 will not fit with the HKS manifold. It's a pretty big turbo, it's got the same wheel sizes as my EFR 9180, and the 9180 is physically almost as big as a GTX4294r... the S366 might be a little smaller than the EFR9180 but not by much. This is a pretty serious turbo, we can give you great suggestions on turbos, we just need some information. How much power do you want, how important is spool and response, and what is your budget for the turbo? I mean the S366 with proper setup and E85 will do about 600WHP all in with a big turbine housing. You'll already be over the 500WHP mark by about 18 to 20PSI depending on porting. That .91 housing is a little on the small side and you might even see it choke out at high RPM. I would aim for something around 1.0 to 1.10 range. About the 9000RPM redline thing, just give that idea up right now. You don't need it and it's dangerous, you'll be making boatloads of torque down lower anyways. Stock redline is 8000RPM and most big power guys pull to maybe 7500 to 7800 unless it's a drag racing application. Gotcha, I was afraid that the .91 was a little small. There are some holiday sales going on and the s3 is about 575 atm. I was really just hoping to actually use the 9k redline because it on the tachometer and it sounds nice up there, but if 8k is safer and the optimal power cutoff then so be it. I was also looking for a 1.0 a/r, the Garrett on my previous excel sheet posted here would be a 1.06 a/r or something, but I really fell in love with the sound of the BW. Power goals are 450-550 whp, likely aiming for 500 on lower boost, being under 20 psi. Ideally I would like the get the pressure down as much as possible while providing good response and optimal time in good efficiency range. 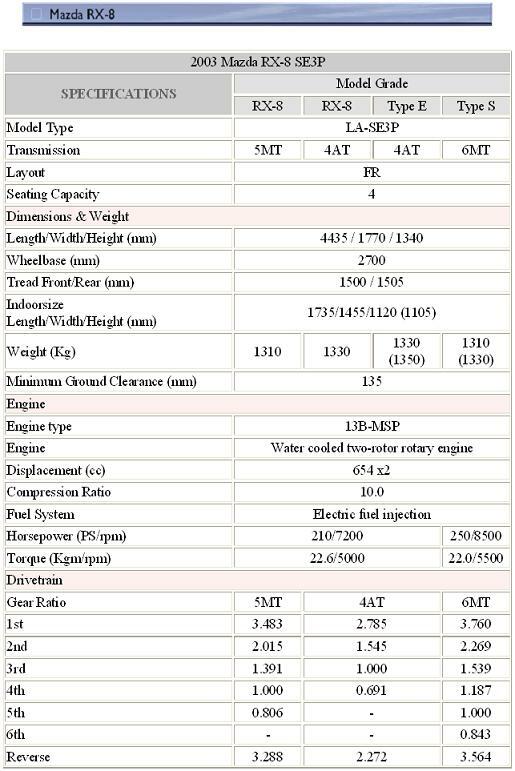 I would like to get a T4 Turbine inlet, however I personally have a preference toward journal bearing over ball bearing. My personal opinion is that the car's performance aspects are oriented toward higher rpms, so later boost is A-O-K with me. I hear the ball bearing turbos are more finicky and journal bearing is basically more reliable. As for the turbo manifold, that's no real loss to me. I suppose I am looking for a way to not have to have a custom one made, but that may not be avoidable. I will be half bridge porting and large street porting the intake as well as opening up the exhaust to a large street port. Hoping to keep the idle under 1500, shooting for 1400. Well it sounds like an S366 with a 1.10a/r turbine housing is what you're looking for if you want to keep manifold pressure down as low as possible. Could go with a 1.00a/r for a little bit better response and still probably be good to go. I would really suggest using twin wastegates and a fully divided turbo system as well but it just depends on what your budget looks like. Couple other things, first is that if this is a street car, I would just do a street port. You can still make huge power without having to bridgeport it and it is safer and more reliable than a bridgeport and has much better manners. The other is your statement about journal bearing turbos, not really sure where you came up with that? Ball bearing turbos are better in every way except for cost. They not only help with spool threshold but the difference in transient response (on/off throttle response time) is another reason why they are better. There's nothing wrong with going with a good journal bearing unit for cost reasons but they aren't better than ball bearing units at anything. The wastegate seems very daunting as I am looking at a very expensive unit, but I suppose I will have to do a bit more research. In effort for a quick response, is it simply to keep the exhaust streams fully separate? I suppose 2 smaller gates might be easier to fit...but then you run into complexity issues any time you go to 2 anything? I think the twin scroll might be the reason why the suggestion was made and that a single wastegate would reduce the effectiveness of said twin scroll? Maybe? I think the doual wastegate route might be a little expensive for my taste. Likewise I might end up with the .91 a/r and journal bearing, although it is not ideal, it is a great price. The build should be able to grow later on anyway. Yes it's so the exhaust is kept separate, twin scroll will spool faster and be more responsive than having a collected manifold with a single wastegate dumping into a twin scroll housing. My guess is that the posts you've seen about ball bearing units failing is people that don't install them correctly, mostly because of using the wrong oil restrictor or not using one at all. It's not apples to oranges, ball bearing units are better, and journal bearing units are cheaper. The reliability of reputable ball bearing turbos (Garrett and Borg Warner) are good, you shouldn't be basing a decision off of a couple threads of people with failing turbos. Most of the time you have no idea what actually happened or why it failed. The most common mode of failure is probably improper installation regarding the oil plumbing. Like I said there is nothing wrong with getting a good journal bearing turbo and the S366 is a solid unit. Just don't take questionable information as truth without researching, or try to convince yourself that they are somehow better lol. Bunch of V8 drag racing guys, and also some pretty dumb comments in there. Especially the "high RPM so boost threshold doesn't matter" statement. Transient response matters. When you're at say 6000RPM, or when you shift, and go from 0% throttle, to 100% throttle, you'll typically be at full boost 15% faster with a ball bearing unit vs. an identical turbo with the only difference being a journal bearing setup. Twin scroll is better at any HP level in terms of response. There's a reason why OEM's are moving towards twin scroll design (Ford for example). The added boost control is just a plus, and it doesn't add much complexity, you just extend the vacuum/boost lines from the first wastegate to the second one with T fittings. Twin wastegate designs are getting more and more common and have proven themselves reliable when using good wastegates like Turbosmart. Twin 40mm gates have 28% more area than a single 50mm gate. A single 60mm gate has 12% more area than twin 40mm gates. I sort of like the idea of the turblown turbo manifold. Its pricey, but with it I can run the twin 40 mm wastegate setup (which is only like 50 bucks more, a drop in the bucket really). I could also heat paint and heat wrap it myself then. Yeah, turbo information is often skewed and its hard for me personally because I never owned a FI vehicle and largely put off learning about them until recently. My largest bias came from a video comparing two identical turbos except one was BB and one was journal bearing. The journal bearing spooled 350-400 rpm slower and only made 30 hp or so less (was 580 for the BB and 550 for the journal, I think?) I'll be the first to admit when I hear what I think is beneficial advice I jump on it without question, because I don't have the time to learn everything in depth before my build. Edit: Removed list of gear ratios that were probably wrong. Last edited by Arca_ex; 01-03-2015 at 02:59 PM. Last edited by Brettus; 01-03-2015 at 01:36 PM. Wow thanks for the 5sp info guys. Stoked and winning. Brettus if those are the ratios then that is identical to the JDM FD 5 speed. Interesting. I'm doing 161kms/hr @ 8019rpm with standard diff. Last edited by Brettus; 01-03-2015 at 03:23 PM. Ah ... it seems JDM and EU spec are different . Did I post a link to a stock T5?